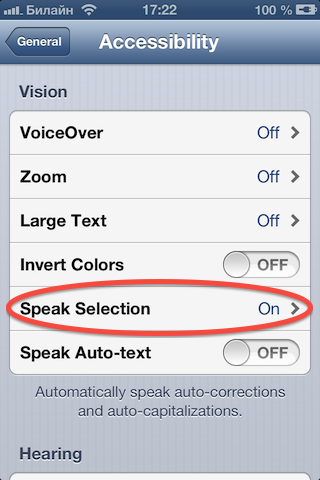 How to start text-to-speechon on iOS 6? At first, make sure, that Speak Selection in enabled on your iPhone/iPad. Then, tap ‘TTS’ button on a navigation bar, to start playback the text.